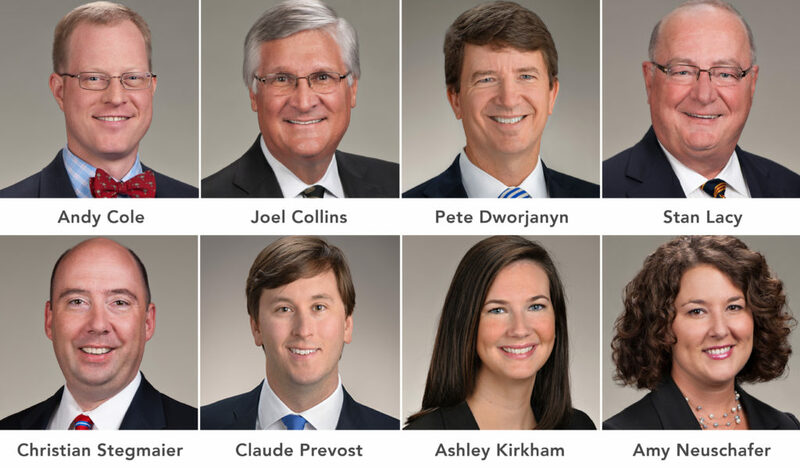 [COLUMBIA, S.C. April 4, 2019] – Eight Collins & Lacy attorneys have been named 2019 South Carolina Super Lawyers® and South Carolina Rising Stars® for work in their respective practice areas. Super Lawyers is an annual listing of attorneys who have attained a high degree of peer recognition and professional achievement. Rising Star attorneys are selected using the same multiphase process as Super Lawyers, but are either 40 years old or younger, or have been in practice for 10 years or less. No more than five percent of the lawyers in the state are selected to the Super Lawyers list and no more than 2.5 percent of the lawyers in the state are selected to the Rising Stars list. Below is each Collins & Lacy attorney selected, as well as the practice areas and cities in which their work is being recognized.